New York City might be getting a few new street names to honor some of its most well-known musicians. As WNYC/Gothamist reports, New York City Council voted 48-0 in favor of co-naming three of the city’s streets in honor of Wu-Tang Clan, Woody Guthrie, and the Notorious B.I.G., as previously pointed out. Paying homage to the legal name of Notorious B.I.G., Christopher Wallace Way would be located on Brooklyn’s St. James Place—the same Bed-Stuy block where Wallace was raised. 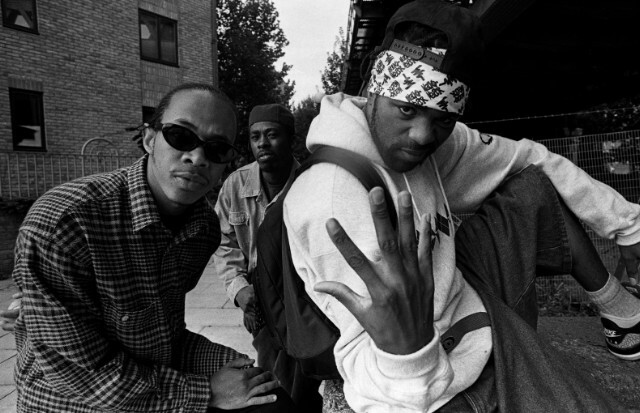 Wu-Tang Clan District is slated to appear at the southeast corner of Staten Island at the intersection of Vanderbilt Avenue and Targee Street. Woody Guthrie Way would run along Mermaid Avenue between West 35th and West 36 streets in Brooklyn’s Coney Island, where Guthrie lived with his wife in the 1940s. The rename was voted on unanimously, but ultimately has to be approved by Mayor Bill de Blasio before taking effect.